Staff Sgt. Salvatore Giunta will be the first living Medal of Honor recipient since the Vietnam War. On Thursday, President Obama spoke with Giunta, who is assigned to 2nd Battalion, 503rd Infantry Regiment, 173rd Airborne Brigade Combat Team, in Vicenza, Italy, to inform him that he will be awarded the nation’s highest valor award, according to the White House. 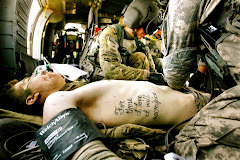 Giunta, 25, will be honored for his actions during a fierce firefight Oct. 25, 2007, in Afghanistan’s Korengal Valley. According to the White House announcement, when an insurgent force ambush split Giunta’s squad into two groups, he exposed himself to enemy fire to pull a comrade back to cover. Later, while engaging the enemy and attempting to link up with the rest of his squad, Giunta noticed two insurgents carrying away a fellow soldier. He immediately engaged the enemy, killing one and wounding the other, and provided medical aid to his wounded comrade while the rest of his squad caught up and provided security. His courage and leadership while under extreme enemy fire were integral to his platoon’s ability defeat an enemy ambush and recover a fellow American paratrooper from enemy hands, according to the White House. Astonishing! Fort Hood soldiers discovered someone they lived with, someone they served with, someone put in the position of being responsible for their mental health, was also the person who would open fire on them and kill 13, plus wound many more. Yet with all of this, all that happened before the rampage, the commander at Fort Hood does not think this had anything to do with the rise in suicides on base. Fort Hood is their home. Their wives go shopping with the kids. Families eat at the food court. Their kids go to school and they play at the neighbor's house. They ride their bikes and play in the parks. This was supposed to be a safe place for them with security so this one place on earth was a place they could relax without having to worry about someone trying to kill them there. That was taken away from them. All that happened before it came with the sense of betrayal by the military when someone like Hasan was not only put in position of taking care of them but that there were signs he hated them. Did the Commander of Fort Hood consider what kind of message that sent? I did a lot of post after the shooting and one of the first ones was about issuing a warning about what was to come after all this. As the news reports kept coming out today about the carnage at Fort Hood, my greatest fears were not for today, but for the next few months ahead. No one is talking about "secondary stressors" and this needs to be addressed quickly. There are crisis teams heading there according to the press briefing by Lt. Gen. Robert Cone. This is one of the best things they can do. I spent months taking this kind of training and it is very thorough. 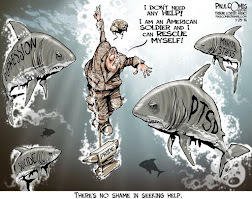 The issue that we need to be concerned about is when there are thousands of soldiers, combat soldiers with multiple tours, many of them are dealing with mild PTSD. Mild PTSD is not that hard to cope with. They live pretty normal lives while covering up the pain they have inside. Many even cope well the rest of their lives but many do not. 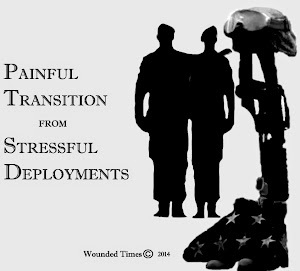 Like a ticking time bomb, PTSD rests waiting to strike if untreated. It waits for the next traumatic event and then mild PTSD turns into PTSD on steroids. These are the soldiers that will need the greatest help as soon as possible. These bases are very well secured. That makes the soldiers and their families feel safe. Think about going into combat and then making it home alive where you are supposed to be safe. Then having this happen. I was at Fort Hood in March. I had an auto rental and even though I had a military issued ID, that was not good enough at the guard house. I had to show my rental agreement every time I drove onto the base. Even if you have a Department of Defense sticker on your car, you still have to show your military ID. That makes them feel they are safe. Then away from harm, away from combat, they end up having to face something like this from not only one of their own, but a Major and a Doctor who is supposed to be there for them, trying to kill them. But they must not agree or they wouldn't take the view they did. FORT HOOD, Texas — Thousands of soldiers stationed at Fort Hood are receiving extra visits from their superiors this week following a recent spate of suspected suicides, the Texas Army post's senior commander said Wednesday. Maj. Gen. William Grimsley said Wednesday that Fort Hood soldiers from the rank of sergeant and below — more than 32,000 soldiers — would be visited in their barracks or off-post homes this week to get "a better sense" of how they are doing. Their superiors also will make sure weapons privately owned by soldiers are properly registered, Grimsley said. Fort Bragg sometimes orders soldiers who commit domestic violence to deploy before they have finished court-mandated programs designed to correct their abusive behavior, court and military officials said. There are two primary programs for abusive soldiers: The county operates the RESOLVE program, and Fort Bragg oversees the Marching to Change program. Judges refer soldiers to both, and a review committee at Fort Bragg sends soldiers to the on-post program, as well. Numbers provided by Fort Bragg and the county show that less than half of the soldiers enrolled have completed either program. A variety of reasons are listed for the failure to finish, including deployments. In Cumberland County, District Court judges often defer prosecution for soldiers who commit domestic violence, allowing the soldiers to clear their records if they abide by the terms of their probation. Many times, those terms include the completion of the RESOLVE or Marching to Change programs. Debby Tucker, executive director of the National Center on Domestic and Sexual Violence, calls the numbers "very discouraging." Updated: Sept. 29, 2010 10:06 a.m.
Two Fort Stewart soldiers died from gunshot wounds Friday in a non-combat incident while deployed in support of Operation New Dawn. A fellow soldier is being held in connection to the fatal shootings, and in the wounding of another soldier. Spc. John Carrillo Jr., 20, of Stockton, Calif., and Pfc. Gebrah P. Noonan, 26, of Watertown, Conn., were fatally shot following a “verbal altercation” on Sept. 23 in Fallujah, Iraq, said U.S. military spokesman Col. Barry Johnson in an Associated Press story. The military has not released the name of a third solider who was injured in the incident. Spc. Neftaly Platero of Houston, Texas, is suspected of shooting his fellow soldiers, Johnson said. Carrillo and Noonan were assigned to 3rd Battalion, 15th Infantry Regiment, 4th Infantry Brigade Combat Team, 3rd Infantry Division. The 4th brigade deployed to Iraq in July. “Both came to Fort Stewart in May 2010, and it was their first deployment,” said Fort Stewart spokesperson Kevin Larson. The installation’s public affairs office referred all inquiries about Noonan and Carrillo’s deaths to U.S. Forces-Iraq, based in Baghdad. A soldier from Middletown and his wife were found shot to death in their home at Fort Hood, Texas, in an apparent murder-suicide. Sgt. Michael Timothy Franklin, 31, and his wife, Jessie Anne Yeager-Franklin, 29, were found dead on Sunday at the massive Army post. Franklin, a decorated soldier who served two tours in Operation Iraqi Freedom, was the latest in a series of confirmed and suspected suicides at the base. STOCKTON - Army Spc. John Carrillo Jr. of Stockton was killed last week while trying to break up a fight between two soldiers inside his barracks in Fallujah, Iraq, a family member said Tuesday. Carrillo, 20, leaves behind his wife, Reylene, the couple's 3-year-old and 3-month-old children, his parents, John Sr. and Desiree Carrillo, three siblings ages 9, 7 and 5, and numerous other relatives in the Stockton area. He died Friday, a day after the fight and shooting incident. Authorities with United States Forces-Iraq, based in Baghdad, said Spc. Neftaly Platero, 32, of Houston has been placed in pretrial confinement in connection with the deaths of Carrillo and Pfc. Gebrah Noonan, 26, of Watertown, Conn., and the shooting of a third unnamed military member at the base 40 miles west of Baghdad. The third victim's injuries are not life threatening. recent issue of the New England Journal of Medicine. "At VA we strive every day to deliver superior health care," said Dr.
patients and to learn how to improve health care delivery and processes. policy is "a notable exception." guidance on the manner of disclosure. (CNN) -- Four soldiers from Fort Hood, Texas died over the week. In all four cases, it appears the soldiers, all decorated veterans from the wars in Iraq or Afghanistan, took their own lives, according to Christopher Haug, a Fort Hood spokesman. If confirmed as suicides, it would be on top of 14 other suicides on the base this year. Base officials called a news conference for Wednesday afternoon to discuss the problem of suicides at the huge base in central Texas. "Every one of these is tragic," said Maj. Gen. William Grimsley, the post commander. "It's personally and professionally frustrating as a leader." Grimsley did not announce any major action or response during the news conference. "I don't think there is a simple answer," he said. The recent spate of incidents, began Friday Sept. 24 when the body of Pvt. Antonio E. Heath, 24, of Warren, New York, was found in Temple, Texas, the victim of a gunshot wound. Heath was deployed to Iraq for most of 2009 and earned a number of medals including the Army Commendation Medal. The next day, Master Sgt. Baldemar Gonzales, 39, of Victoria, Texas was found dead in his residence on Fort Hood. During his service he had fought in Operation Desert Storm and Operation Iraqi Freedom. During that time he earned a Bronze Star, a Meritorious Service Medal with one oak leaf cluster, an Army Commendation Medal with four oak leaf clusters as well as numerous other decorations. That same day the body of Sgt. Timothy Ryan Rinella, 29, of Chester, Virginia, was found in his home in Copperas Cove, just outside of Fort Hood. He had an "apparent gunshot wound," according to information released by Fort Hood. Rinella served three tours of duty in Iraq and one tour in Afghanistan. And then on Sunday, Sgt. Michael F. Franklin and his wife, Jessie, were found dead of apparent gunshot wounds in their home on the post. The case is being investigated as a murder-suicide. They were the parents of a 6-year-old daughter and 2-year-old son. Franklin served two tours of duty in Iraq in just the past four years, earning an Army Commendation Medal with two oak leaf clusters and several other decorations. Why refuse help to heal? It does not seem possible that there are still some soldiers thinking it is better to appear to be a drunk or drugged up than to be thought of as being wounded but somehow that is the message they end up getting. Why? Why is it better to appear to be selfish, mean, nasty, uncaring and even thought of as a "low life" than it is to let someone know they are hurting? If they admit what's going on inside of them it can help save their lives as well as help their families. The stigma is still alive and well so there is much more work to do before all of them know what PTSD and there is no shame in it. It does not make them weak. It does not make them less than the man or woman they were before. It does not make them tough to fall apart instead of getting help to heal. A task force investigating the high rate of Army suicides released a report in July concluding that more soldiers died as a result of high-risk behavior last year than they did in combat. The report said that although soldiers are seeking behavioral health treatment in record numbers, a troubling subset refuse to get help, use illegal drugs and commit crimes. In the month before the 350-page report became public, 32 soldiers killed themselves, the highest number in a single month since the Vietnam era. 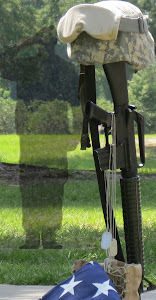 Armywide, 239 soldiers, including National Guard and Reserve troops, committed suicide in fiscal 2009. Of those, 162 were active-duty soldiers. The number of active-duty suicides was 52 in 2001, the last year before the wars began. The study - titled Army Health Promotion, Risk Reduction and Suicide Prevention Report 2010 - found that soldiers and their units have become "transient tenants of garrisons," largely because of multiple deployments and troops moving from base to base. The result, the report said, is that young and midlevel commanders are unaccustomed to taking care of soldiers' needs and problems at home. As a consequence, the report says, some discipline has been lost. "There are instances where a leader's lack of soldier accountability resulted in suicide victims not being found until they had been dead for three or four weeks," the report says. "In an organization that prides itself on never leaving a soldier behind, this sobering example speaks to the breakdown of leadership in garrison, which appears to be worsening as the requirements of prolonged conflict slowly erode the essential attributes that have defined the Army for generations." The report concludes that the lack of leadership and the stress of war are leading some soldiers to engage in high-risk behaviors, including crime and drug and alcohol abuse. FORT HOOD, Texas — Fort Hood officials are investigating a rash of suicides in recent days, including the apparent murder-suicide of a soldier and his wife, the Associated Press reported on Tuesday. The incidents come as the central Texas Army post reports a record number of soldiers taking their own lives. According to figures released Tuesday, 14 suicides and six more suspected suicides have been reported so far this year among soldiers stationed at Fort Hood. 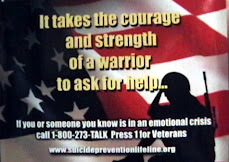 Fort Hood reported 11 suicides in all of 2009. On Sunday, 31-year-old Sgt. Michael Timothy Franklin and his wife, Jessie Ann Franklin, were found shot dead in their Fort Hood home. Army officials are investigating the deaths as a murder-suicide. Two soldiers died Saturday in unrelated apparent suicides, including a veteran of four tours in Iraq. A fourth soldier was found dead Friday. In November 2009, an Army psychiatrist at the base was accused of going on a shooting rampage that left 13 people dead and dozens injured. The deaths come as the military grapples with how to prevent suicides among the troops. Four days after spending time with his family while on leave, a soldier from Volusia County was killed in a training exercise in Kuwait. Marc Whisenant, 23, died Friday, his father said. Few details were available Sunday, but Jerry Whisenant said he was told his son died during a training exercise when a Humvee overturned. Marc Whisenant spent four years in the ROTC program at Spruce Creek High School in Port Orange and soon after graduating in 2005 he enlisted in the U.S. Army, his father said. 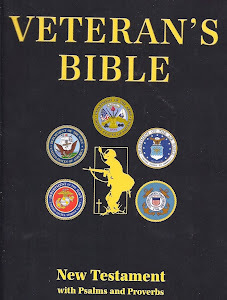 If you are sitting there judging the veterans in this report then you should start by wondering what makes them so different from you that they would willingly risk their lives for the sake of this country. Did they serve in a foreign land like Iraq and Afghanistan? Yes, but they didn't decide to serve either nation. They served this one. 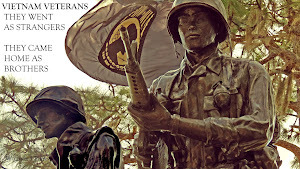 Just like when they went to Vietnam, it was not about serving Vietnam, but this nation they went for. They are less than 10% of the population of this nation. Even less are combat veterans but somehow we managed to ignore most of what combat does to a person. We ignored too much for far too long. Today there is only 1% of the population serving in the military. We can't take care of them either. So if you want to judge consider these men and women went from being willing to die for strangers to committing crimes against family and strangers alike. There is a reason for it. Some do commit crimes. They need to be brought to justice but that must include taking a look at what they were like before combat and taking into consideration if there are other issues behind the crime like PTSD or TBI. The victims deserve justice but they also deserve answers. An honest trial and outcome demands all things be considered. When they are wounded and suffering it is our job to help them heal before they commit crimes, before they commit suicide and before their families are destroyed. If you still want to judge, then wonder what you have done to be part of any solution instead of ignoring them. Kern County has seen a recent wave of young war veterans accused of serious crimes. 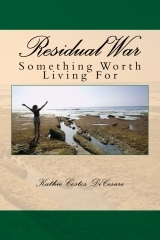 Many of our returning troops are silently suffering from flashbacks of things they saw or did during the war. Iraq war veteran Marcus Trevino is accused of driving drunk, after having two previous DUI arrests, causing a fiery crash on Mt. Vernon Avenue that killed a woman in another car. Trevino’s mother previously said her son suffers from Post Traumatic Stress Disorder. War veteran Timothy Atkins is accused of shooting Air Force Staff Sergeant Brian Carragher to death Saturday in California City. Atkins returned from Iraq just weeks ago, police said. "A normal person, they can take quite a bit on their shoulders before they snap. We don't have that luxury. That's gone for us," Iraq combat veteran and PTSD sufferer J.R. Browning said. He saw combat during the start of the Iraq war in 2003. He said for combat vets, violence was the norm, making it hard to adapt back to normal life. FORT BRAGG (WTVD) -- A Fort Bragg Special Operations soldier who truly dedicated his life to fighting for America won't make it home. The Pentagon says 30-year-old Sergeant 1st Class Ronald "Aaron" Grider died after being hit by machine gun fire September 18 during a combat operation in Konduz Province, Afghanistan. He leaves behind a wife and young daughter. His is a story of unbelievable courage, bravery, and dedication. It was his ninth military deployment overseas. He went seven times to Iraq and twice to Afghanistan. "We've had people tell us, 'well, why bother now--it's 40 years too late," said Larry Walker, a Vietnam veteran. "Ask any Vietnam veteran, and they'll tell you it's never too late." Iowa man pleads guilty to bomb charge. A brain-damaged veteran of the Iraq War pleaded guilty Friday to an Oklahoma County bomb charge. Steven Andrew Jordal, 26, was ordered to get treatment at a Veterans Affairs hospital. Jordal spent almost two years in the Oklahoma County jail. A judge Friday agreed to a plea deal that puts him on probation and requires him to get mental health treatment at the VA medical center in St. Cloud, Minn.
"I hope you're able to get some help for that," District Judge Don Deason said. Jordal was released about 3 p.m. Friday to his mother, who promised to take him to Minnesota. Prosecutors and defense attorneys agreed he needed treatment. A psychologist reported Jordal suffered from poly-concussion syndrome. He was an infantry tank specialist in the U.S. Army from 2002-07. He is from Iowa. A Jacksonville Marine said he has experienced both sides of that dichotomy with military and veterans healthcare in his battle to get treatment for severe post-traumatic stress disorder and recurring seizures caused by a traumatic brain injury. During his first deployment to Iraq, from Oct. 2006 to Feb. 2007, Lance Cpl. David Brown, now 23, earned the nickname “mortar magnet” for his knack of being in the wrong place at the right time. After a few close encounters with the blasts, one mortar blew up in his face, rattling his brain, knocking him out and blanking his memory of the time surrounding the incident. Later in the deployment, a Marine buddy, fatally wounded by an improvised explosive device, died in his arms, making the injuries he would carry with him back to the states emotional as well as physical. Brown’s wife Brooke said her husband returned home displaying classic symptoms of PTSD: anger, increased use of tobacco and alcohol and depression. He also suffered from head-splitting migraines and a sensitivity to light that forced him to wear sunglasses even indoors, although he seemed physically healthy otherwise. Brown deployed to Iraq again from late 2007 to May 2008. In September, Brooke said, she witnessed David’s first grand mal seizure during an evening at home: He foamed at the mouth, lost control of his bowels and could not speak. The couple rushed to the Naval Hospital where they said medical personnel ran tests, did a spinal tap and finally released him with light duty orders. Just too proud of Lily to even try to find the right words for the work she is doing! 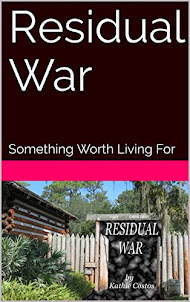 A Vietnam vet, Marine, with 40 years of chronic, severe PTSD goes on a journey to help him heal. Please help us give other veterans this chance. Donate here, or contact us here. Thank you. Last night I returned home from the Point Man Ministries conference in Buffalo. I left Orlando Friday afternoon drained. Too many reports on people suffering and too few offering hope tends to do that to just about everyone. I got to the airport in no mood to talk to anyone. After security and finding my gate, I saw a man sitting near another gate with a uniform on. Out of habit, I went to say hello. He asked me to sit down. I told him who I was and showed my credentials since I didn't have my chaplain gear on this trip. As we talked about where he was and where he was heading, he wanted to talk about the needs of someone else. The conversation took a swing and someone we managed to talk about St. Paul. 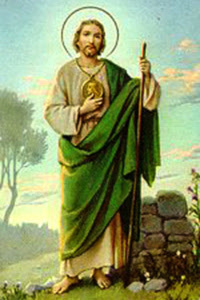 We talked about the fact St. Paul managed to think he was serving God when he was still called Saul. At that time, Saul was determined to hunt down Christians and rejoiced over their deaths. Saul was positive he was serving God and I am sure he really loved God but someone got everything wrong. He just couldn't believe that Christ was the Son of God. We talked about the road to Damascus where Christ changed Saul's life and then I asked the soldier what he thought about that. At first he didn't know what I meant. Then I asked, "Why do you think that Christ reached out to change Saul instead of just obliterating him?" The soldier had never thought about it that way until then. As he headed for the door to get on his plane, I said, "It's because God saw into Saul's heart and knew what was there." A look of peace took over the soldier's expression as he waved good-bye. God sees into the hearts of everyone. He knows what they are feeling, where their heart is and he knows what their intentions are. God saw into Saul's heart and saw the great love he had for God even though he got almost everything else wrong. I got on the Air Trans flight to Buffalo, taking my seat near the window, in the full flight. Kids, parents, business people and couples all talking about small stuff from their normal lives. I pulled out my Digital Media text book and studied the whole way. I just didn't want to think about anything else. I didn't want to listen to their conversations and I certainly didn't want to think about the news. It was one of the worst flights I have taken in a long time because it was the first time I had my nose buried in a book instead of paying attention to the people around me. As the plane was beginning to land, a young girl behind me was experiencing landing for the first time. She let out a laugh and said "My tummy is being tickled!" The sounds she made, filled with glee reminded me of what kids sound like on roller-coaster rides as the cart goes up and then down. Her laughter was infections. Soon she had at least ten surrounding rows of people laughing with her. It had to be the best landing I ever had. I wondered where my joy had gone that I was not able to just enjoy life like she was able to do. I arrived near the baggage claim area and there was Dana Morgan waiting to take me to the hotel. Seeing him standing there, I started to feel more alive. We talked on the way and he told me about what was going to happen over the weekend. I was still a bit off and tired as I checked into the hotel, finally finding my room, dropped off my bags and plugged in everything that had to be charged. My camera battery had to be charged. My laptop had to be charged. My cell phone had to be charged but I didn't have time and there was no possibility of me leaving that in the room, so I prayed it would last as long as I needed it to. We arrived at My Father's House, the church Dana and his wife started. Right away I was greeted by loving people. I didn't feel like a stranger. Then came the start of the conference. It was the first time I attended a conference in a church. Dana talked about his life and then introduced all the people who were going to be speaking during the weekend. I sat there stunned by the young Iraq veterans there. KIRKUK, Iraq — Three Schofield Barracks soldiers remained hospitalized today following a firefight yesterday evening in which their vehicle came under small arms fire on a crowded city street. Yesterday's firefight represented the greatest number of 25th Infantry Division (Light) soldiers injured in a shooting incident. Sgt. Israel Burks, a forward observer attached to Company B, 1st Battalion, 21st Infantry Regiment, received multiple gunshot wounds, as did Staff Sgt. Santiago Frias, 24. A third Company B soldier, Staff Sgt. Timothy Pollock, 25, suffered a single gunshot wound, said 2nd Brigade Adjutant Maj. Scott Halstead. Family members have been notified of the injuries. Pollock and Frias were taken first to Kirkuk Air Base and then to the Army hospital in Baghdad. Burks, whose age was unavailable, was at the air base after having surgery, Halstead said. All three were expected to be flown to the U.S. medical facility in Landstuhl, Germany, he said. Ret. Staff Sgt. Tim Pollock shared his story about his time in Iraq, healing, the people he met at Walter Reed during his 18 months of recovery and then what changed in him when he began to use the experiences he had coupled with the love he has for his fellow veterans. Tim could have let his wound and loss of part of his scull along with losing his eye turn him bitter but the love he has in his heart would not surrender. He has changed many lives because he answered Christ's call to help others. When I got back to the hotel, everything was charged up and ready to go. So was I. There is an awful lot of talking lately about the role of Chaplains in the military and most of it is negative. 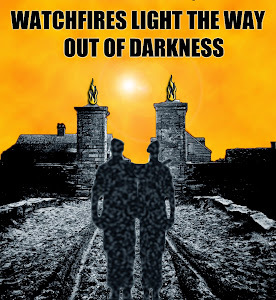 For all the Chaplains I know, they are deeply troubled by some that think it's ok to just go out and try to convert servicemen and women into their own denomination, wasting time instead of trying to help a troubled soul reconnect to God or at the very least, be able to release some of their emotional pain. In the process of trying to convert instead of help, they end up not only pushing them away from Christ, but build a barrier against them asking for help at all. Well here are some people living up to what it is supposed to be like, helping people in whatever way they can without trying to put them into the pew of their church group. If the military Chaplains understood that if they do their job right, that won't be a problem later on because people will follow their example and remember the kindness they received. On the other hand, if they receive judgment and condemnation, that is what they will remember as they walk away. Speaker after speaker talked about what they were doing and they talked about their own lives. All in all there was hope. first part of series covering the other speakers. I am sure you noticed that since Friday there have not been new posts, highly unusual for more and the last time I didn't post a lot of you emailed because you were concerned. Judging from the emails I have to read, that has happened again and I didn't want any of you to worry needlessly. I just got back home from Buffalo. 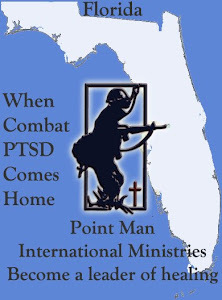 I was invited to speak at the Point Man Ministries Conference and that's why I haven't posted. I thought I'd have some time to catch up but the whole weekend was way too busy. I promise that I will answer the emails as soon as I can but right now, there is something pressing me to write instead of unpack. For years now most of the post I do are centered around the problems and the heartaches most of us share or at least know someone who is suffering. To tell you the truth, it gets very depressing to track all of this and that is exactly where I was when I got on the plane to Buffalo on Friday. My heart was heavy. Too many bad stories to read and post with too few glimpses of God's hand at work (or us working for Him) and hope was hard to find. Between heaven and hell there is "us" just trying to do the best we can with what we've been given. The barrier to hell seemed to be getting pretty thin lately. That all changed when I arrived at the church Dana Morgan and his wife Susan built. My Father's House is a perfect name for this place where love lives on. From the moment I walked in I was welcomed like a part of this family. I didn't feel like a stranger to anyone. I had not met Dana before he picked me up from the airport. We just emailed and talked a few times on the phone. I was as if we've known each other for ever. Dana is the President of Point Man Ministries on top of everything else he does. 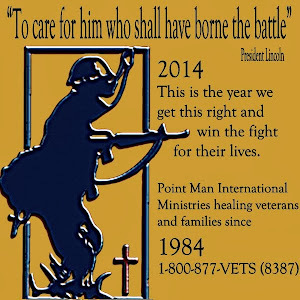 Once a year they have a conference to share what's going on as well as offer fellowship to Point Man members around the country. Each speaker (more on them later) told heartbreaking stories but followed them up with God's hand at work through them. Things, wondrous things, are happening across the country and this is all good. People can look at life as if what they want, what they need is all that matters. When it is pointed out to them a lot of people have it worse, they tend to only think of the people who have it better. I know what you're thinking but be honest and admit you do it too. There's a problem in thinking like that but not for the reason you may think. It's not jealousy that causes harm but forgetfulness that does the harm. It is when we forget that it feels pretty lousy to be in need and feel alone on top of everything else. When no one wants to help, this world can be pretty cold. Yet when we think of the people who have less than we do, are in more need, are feeling deeper pain, that is when miracles can happen. We reach back to them and say "come with me and I'll help you this far." Isn't that what we all pray for, search for, hope for? Isn't that all we need to make us feel better about this life we have for ourselves? Isn't that what Christ told His followers they needed to do? Life is not just about sharing the joys with others but it is also sharing the burdens so the load is a bit lighter. I'll post some more tomorrow on this but I wanted to let you all know I'm fine. Just really tired. Tomorrow I have a full day of classes but I will get back to all of your emails as soon as possible. I also did some taping while I was there so should have a video on this soon. Too bad for Buck that the GOP "plan" for this country should they take over again has this "plan" in what they want to do. Along with turning over Social Security to Wall Street and cutting Medicare, this is what they want to do to our veterans. Do they know what this will do to them? Do they know what message they are delivering to our veterans when they say this is their plan? Do they know what harm it does to even talk about cutting the VA budget off their backs? Social Security hits the elderly but it also hits disabled veterans. 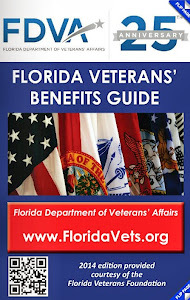 Medicare hits the elderly but it also hits disabled veterans because a well kept secret is the fact that veterans using the VA have to have other insurance to cover anything not connected to their disability. Most of them have Medicare or Medicaid to supplement coverage from the VA. This "plan" should mean three strikes and they are out! All the advances have happened since 2007 when Democrats took over the Chairmanship of the Committees in the House and Senate. The problems veterans faced just got worse while the GOP heads ignored all of it. Now they want control again? Look what they've done to stop bills from being voted on and tying them up while veterans suffer waiting. Look at how they voted against veterans every chance they had. The GI Bill, they didn't want that because it was "too generous" for the troops. They didn't want to give them pay raises. This shows they are against the servicemen and women but favor the defense contractors just like turning over the VA to companies would favor the companies and harm the veterans. Democrat Michael Bennet’s campaign yesterday continued to hammer Republican gubernatorial rival Ken Buck for saying he believes that the private sector is better suited than the government to run a veterans administration’s hospital. Buck’s campaign fired back, however, saying that Bennet’s campaign is trying to mislead the media and voters with a video clip that doesn’t tell the whole story. Bennet’s campaign held a press conference with Democrat lawmakers and veterans to blast Buck for the “troubling” comment he made at a Tea Party event earlier this year. The comment Ń in which Buck said, “Would a veteran’s administration hospital that is run by the private sector be better run then by the public sector? In my view, yes;” Ń came in a small clip circulated by the Bennet campaign. Despite having some issues along the way, veterans are continually more satisfied with their government-run health care compared to people with private health providers, according to the American Customer Satisfaction index. Artie Guerrero, a veteran who was wounded in Vietnam, said at Bennet’s press conference yesterday that the government should continue to provide health care for veterans. “To turn it over to bureaucrats and the bureaucracy that have absolutely no knowledge of military process or the VA process would be totally wrong,” he said. I am sure you've heard the expression "Where there is life, there is hope." This saying usually means that the next breath we take offers hope of something getting better. People only commit suicide when they have lost all hope of anything getting better. If we hope that tomorrow we'll finally feel loved, there is a reason to get up the next day. If we hope we'll find a job or someone will give us a chance to prove ourselves, there is a reason to wake up in the morning. If we hope we'll find justice, find help, find someone does care about us, then it is worth planning on waking up. Yet if we have spent far too many nights hoping and too many days waiting, hope slips away and the reason to try one more day, one more hour, one more minute is just too painful to even try to last. This is why so many commit suicide. 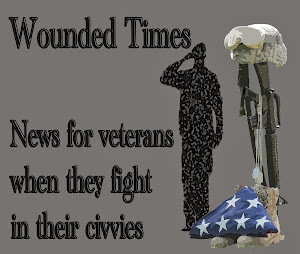 The reasons behind the downfall are too numerous in normal civilian life but with all of the usual reasons people have for trying to end their own life, the members of the military and survivors of traumatic experiences have one more. They want to escape the ghosts haunting them. They grow tired of waiting to "get over it" and they don't want to believe there is someone out there able to help them because whoever they are, they are not showing up to do it for them. 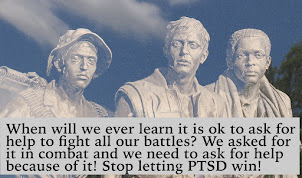 With PTSD they are disconnected emotionally from family and friends. While this pushing away of people in their lives distances them from feeling their pain, it also prevents them from the connection that would offer them support and love. They get the idea no one cares. They feel they let down their families. They feel as if they are condemned to the hell they live with. The list of levels of hell go on at the same time they want to return to being "who" they were before all of it happened. If they know others have been in the same emotional state they are in then there is hope. There is hope because the others are standing up and still breathing after being through the same horrors. They offer hope by simply still being alive. They offer more hope when they can talk about where they were, what they went through and how much it changed them, but are still alive. Giving someone the chance to hear about a survivor surviving life after is the best medication on the planet because they find hope again that they can heal too. On Friday, Sept. 24th the Pentagon Channel wraps up its special Restoring Hope programming on This Week in the Pentagon. 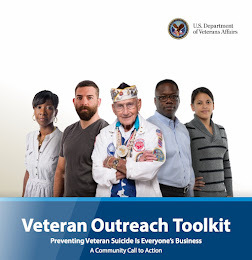 Throughout the month, we have introduced you to families impacted by the loss of a loved one due to suicide as well the warning signs and what actions the military is taking in suicide prevention. In this blog post, Pentagon Channel producer Terese Schlachter shares her experience working on this special project. You can hear more of her thoughts, along with This Week in the Pentagon producer Candace Hewitt, by clicking here. For comprehensive Restoring Hope coverage please visit http://www.defense.gov/restoringhope. When Danelle Hackett drives to the Walmart to do her grocery shopping, she puts a cooler in her trunk. That’s because she lives so far from the frozen food section, stuff will thaw before she gets it home. She agreed to move to Carpenter, Wyoming because her husband, a 26 year Marine Corps veteran, wanted to retire to a wide open space. He bought the house after sending his wife of more than 20 years just a picture. She wanted so much for him to be happy. So they lived there- occasionally defending their garden from wandering horses- watching snow drift easily over their four foot fence. On June 5, Jeff Hackett drove the distance to the American Legion hall in Cheyenne, where he shot himself. Danelle is one of the widows I spent an afternoon with, as part of the Pentagon Channel’s special coverage of suicide in the military. Her grief was raw. She sobbed as she told me how her husband’s PTSD had worsened and how he wouldn’t ask for help. But she wanted to be part of the series “Restoring Hope”, so others might learn from her story. I still look at her Facebook page occasionally, to see what she’s thinking about. Comments people write to her are warm and supportive, but as I read them I imagine all their voices throwing echoes because they’re coming from so far away. Fort Carson officials say they were called to a home on post at 11:45 a.m. regarding a soldier acting erratically. Twenty-five minutes later, police say the soldier came at them in a threatening manner and that's when one officer took a shot to subdue him. The soldier was taken to Memorial Hospital, and was in good condition on Thursday night. A Fort Carson soldier was wounded at his home on Thursday afternoon. Officials on the Mountain Post say the soldier was acting in an erratic manner, and police officers at Fort Carson tried to subdue him. After spending about half-an-hour calming the soldier down, officials say the soldier came at the officers in a threatening way, and that's when one of the officers shot him. Authorities say the soldier had a knife, and sources close to the soldier's family say he was shot in the hand. Officials say the man's family was not home at the time of the shooting. He's part the 3rd Brigade Combat Team, 4th Infantry Division, which is currently deployed to Iraq. On Thursday afternoon, 11 News spoke with people who live in the same neighborhood as the soldier. They say he was shot in the hand that was holding the knife. It all happened at the Choctaw Village apartments on the post. The people who spoke with 11 News are close to the soldier's family. They say the soldier is in his early 20's, and had been deployed to Iraq twice. The sources close to his family also say the soldier has a history of domestic abuse and attempts at taking his own life. HERNANDO — Hugs were exchanged all around in a backyard patio of the Ose home, a stately two-story white-columned house off winding Robertson Gin Road where grain silos dot the landscape. A bumper sticker on the family car in the driveway proudly proclaimed "My Son is A U.S. Marine." The woods and fields surrounding the home where Josh Ose roamed and played as a youngster stood deathly quiet during the long walk up the paved driveway. The hushed stillness was suddenly replaced by the clamor of voices and the click of camera lens on the back patio. "Josh would have loved this," Sissy Ose said of her Marine Corps son, as her eyes brimmed with tears. Ose was referring to the outpouring of support she and husband Ross have received since word spread through this close-knit community that the couple's only child, 19-year-old Josh had been killed in what may turn out to be one of the worst single attacks so far in Afghanistan. Pfc. Joshua Ose died Monday while conducting combat operations in Helmand province, Afghanistan. He was assigned to 1st Battalion, 8th Marine Regiment, 2nd Marine Division, II Marine Expeditionary Force, Camp Lejeune, N.C.
LORAIN — If not for their disparate ages, you would think Bill Wenger and Rachel Ferrer fought in the same war. Both came home from battle with clean bills of health, physically. 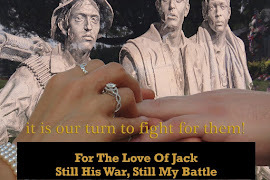 But mentally and emotionally, war had taken its toll on both in the form of Post-Traumatic Stress Disorder, psychological turmoil brought on by the horrors of battle that remain with soldiers long after the war has ended. Wenger, 61, a native Lorainite, now living in Florida, served two tours of duty in Vietnam and fought in the battle of Khe Sanh, one of the bloodiest of the war. Ferrer, 26, of Lorain, served six months with the U.S. Air Force in Iraq, manning an M-60 machine gun atop a Humvee through the dusty, narrow and deadly streets of Kirkuk. Both Wenger and Ferrer came back from their respective wars with the same set of untreated emotional and mental wounds. FORT CAMPBELL, Ky. — Five members of the 101st Airborne Division are among the nine American troops killed in a helicopter crash in southern Afghanistan, the military said Wednesday. The five were assigned to the 101st Combat Aviation Brigade, which deployed in March, said Fort Campbell spokesman Rick Rzepka. The crash Tuesday was the worst coalition helicopter crash in Afghanistan in four years. Sgt. Marvin R. Calhoun Jr., 23, of Elkhart, Ind. The military said McClellan was from Minnesota; his father said his son grew up near Battle Ground, Wash.
Navy officials have released the names of the four Navy personnel killed when their helicopter crashed Tuesday in Zabul province, southern Afghanistan. Three Navy SEALs and one naval special warfare support sailor are among those confirmed dead. Five U.S. Army air crew members also died in the crash. Three others, including another Navy SEAL, were injured in the crash and remain in critical condition at a U.S. medical facility in Afghanistan. Special Warfare Operator 3rd Class (SEAL) Denis Miranda, 24, of Toms River, N.J. Since the beginning of 2010, more U.S. contractors have been killed in Iraq and Afghanistan than military personnel, according to a study by a law student and procurement expert. After analyzing data from the Defense and Labor departments, Steven Schooner, co-director of the Government Procurement Law Program at George Washington University, and Collin Swan, a law student at George Washington, estimated that 232 contractors have been killed in Afghanistan since January, compared to 195 U.S. troops. In Iraq, 204 contractors have been killed since January 2009, compared to 188 troops. ST. LOUISVILLE -- It was more than 30 years after St. Louisville resident Gary Jones served in the Vietnam War that he started talking about his war experiences. 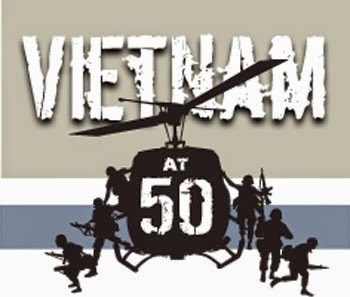 He attended his first Vietnam Veterans of America meeting in 2000, liked what he saw and became a member of Chapter 55. Since then, he has made up for lost time discussing his experiences. Jones has served on a number of local, district, national and even international committees. He has taken five trips back to Vietnam to assist in recovering people who were missing in action on both sides of the war. In recognition of his efforts, he recently was inducted into the Chapel of the Four Chaplains. The four chaplains were four U.S. Army chaplains who died during the sinking of the troop ship USAT Dorchester off the coast of Newfoundland in 1942, during World War II. After being torpedoed and left in the dark, the crew started to panic. The four chaplains -- Methodist Rev. George Fox, Rabbi Alexander Goode, Roman Catholic Priest John Washington and Reformed Church in America Rev. Clark Poling -- calmed the men and organized an orderly evacuation of the ship. As the lifejackets were passed out, the supply ran out. The four chaplains removed their own lifejackets and gave them to others. 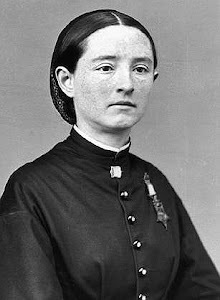 The chaplains last were seen, arms linked, praying and singing for the safety of the men, as they went down with the ship. 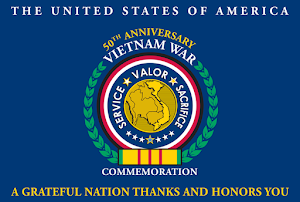 WASHINGTON — Veterans Affairs Secretary Eric Shinseki on Thursday defended an expensive proposal to extend disability payments to Vietnam veterans who get heart disease, saying studies show a significant link between the ailment and the toxic defoliant Agent Orange. Responding to concerns about the costs of a rapidly expanding program, Shinseki told the Senate Veterans Affairs Committee that the law requires his agency to grant automatic benefits for diseases that are scientifically associated with Agent Orange. It leaves him no discretion to weigh costs or other considerations, he said, such as the fact that heart disease occurs commonly in men in their 60s and is strongly linked to smoking, poor diet and other factors. Shinseki, a Vietnam veteran wounded in combat, said six of nine rigorous studies reviewed by the agency showed strong associations between the herbicide and heart disease. The evidence "more than satisfies" the law's requirements, he said. There are a lot of people in this country you will never please. Some are just upset a Democrat is in the White House while others are bothered by the color of your skin. There is nothing you can do to satisfy them. For them, all they care about is defeating you no matter what it is you are trying to do. This always happens in life. There will always be someone out there trying to take away what you have or make you feel as if you are nothing at all. Considering how you grew up, what you managed to do with your life because you had loving support from your family, you should be very proud of all you accomplished. The people who hate you say that you are a Muslim but they are also the same people who complained about your attending church with Rev. Wright without ever once noticing the word "church" instead of mosque. They are also the same group of people saying that you were not born in Hawaii ignoring the fact it would have taken a massive conspiracy over 40 years ago when the newspaper announced your birth in order to pull anything like what they are suggesting. But for right now and tomorrow you need to pray for their souls since everything they are doing goes against what is in the Bible and everything Christ taught. So be not ashamed of them breaking the commandment of "thou shall not bear false witness" because the shame belongs to them. When others attack you, they say that what you want to do and have done has hurt the country. You need to ask yourself where all these people were when what was being done to hurt this country, getting us into the trouble we're in were back then when they could have prevented most of this. Where were they when the tax cuts for the rich were not funded? Where were they when the attacks of 9-11 happened, all the defenses this nation had all failed at the very time they were needed? These same people did not want to know what happened, who failed or why nothing worked. These same people were silent when troops were sent into Afghanistan and nothing was ready to take care of the widows and orphans of the fallen troops nor the wounded coming home needing the services of the DOD and the VA to take care of them. These same people did not care about sending troops into Iraq or the fact neither operation was funded in President Bush's budget. Both were paid for with borrowed money and provided from emergency supplemental requests. They just didn't care that two wars important enough to risk the lives of the troops was not important enough to plan for. In the process, thousands of the troops died and tens of thousands were wounded but left to be without services they needed due to their service to this country. Anyone asking for plans was told they were "againt the troops" because they did not support the President allowing President Bush to do what he wanted to as Commander-in-Chief. Yet while all this was going on, this picture is one of the reasons why you proved how much you do care about our veterans. You were running for the Presidency when this was taken at the Montana National Guards. You wanted to know about their efforts to stop military suicide. The cable news stations did not report on it, few other media people thought it was important. They didn't think it was important to report on the number of suicides or the fact that we had so many returning from where we sent them with the ghosts of war haunting them. Post Traumatic Stress Disorder is tied to suicide as well as self-medicating, and you knew this. You knew this because you cared enough to find out and listen. What I found most remarkable about this was the fact you knew anything about what the Montana National Guard was doing at all. There were so many other programs beginning back then but this is the one you wanted to learn the most about. This happened to be the one I thought was important as well, but then again, I track all of this so while it is no big deal I knew about it, it was impressive that you knew with everything else you had to learn about running this country. See Mr. President, it is very telling how much you do care about the troops and the veterans in this country because they are such a small percentage of the population. Doing things for them does not make national cable news shows. You showed how much you care because of the budget and all the advances that have happened since you took office. So be not ashamed you fought for the men and women in the military instead of defense contractors. Be not ashamed you fought for our veterans while the people who attack you want to slash funding for the VA and then turn around and put the care of veterans into the hands of profit making corporations. Be not ashamed you want to save their lives and put a roof over the heads of homeless veterans while other presidents ignored them. Be not ashamed you wanted to increase the pay for those who serve and be not ashamed you want to take care of them when they need help to care for themselves. Be not ashamed you wanted them to be able to get a good education when their service was done while people like John McCain said it was "just too generous" and would cause troops to leave the military. When others fought against health insurance reform, they were actually fighting for the insurance companies and health conglomerations. Be not ashamed you fought for families, fought for people who were not able to receive healthcare and driven into bankruptcy just because someone got sick. Be not ashamed you wanted to help young adults be able to be covered under their parents plans so they had time to get on their own two feet. Be not ashamed that people will not longer have to face having their insurance canceled because they got sick. When others fought to stop financial reform they were in turn fighting for banks and credit card companies. Be not ashamed you fought for people who have to use credit cards and deal with banks for everything they need to survive. Be not ashamed you saw what was being done to us and wanted to stop it from happening. When others say they want to cut the deficit while these same people were responsible for it happening in the first place, they are in fact fighting for the rich, corporations who see it as their duty to stockholders to create jobs in other countries while we lost jobs here. They are fighting for them while they are destroying us. They had their years of creating all these problems but now they attack you for trying to do something about it. They created all this hardship in eight years but complain because the few bills they allowed to be voted on in the Senate, were passed and have addressed what people need in this country. They twist and manipulate what good work you have done and make it look evil. We know better and see how much you do care. Be not ashamed that you want to preserve social security while they want to privatize it. Be not ashamed that you cut waste in Medicare while they say that the cuts were against the elderly. Not one senior lost anything but they want them to think it happened. The cut was done against waste and fraud but they want to turn it into something evil to put fear into the elderly. Be not ashamed that you care about the education of our kids while they want to eliminate the Department of Education, cut teachers and twist history around to suit their own personal religious beliefs. Be not ashamed you want to keep cops on the streets and put firefighters back to work. They say they don't to pay taxes to do it. These same people don't want to fund tax cuts but want to do them at the same time they complain about the deficit. Be not ashamed you want to put people back to work fixing our roads and bridges for our future needs as much as you want to meet the needs of people who just want to get back to work for their living. Be not ashamed you wanted to extend unemployment benefits while they didn't even want to allow it to come to a vote. Be not ashamed you wanted to stop the policy that keeps people from serving, not matter how heroically, not matter how deeply committed they were to our national defense just because they were gay. Our coalition partners serving side by side with our troops in Afghanistan see this as a non-issue yet they want to portray gay servicemen and women as evil, thus insulting our coalition partners and inflicting religious beliefs on our own forces instead of providing for equal rights as honorable humans. Mr. President I heard the woman say on TV she was tired of defending you. I am here to tell you that I am not tired of defending you at all. I will fight for you for as long as I see who you are trying to help and know we are your thoughts. I am not so lucky to have a job but I don't blame you. I lost it before you took office two and a half years ago. I didn't get unemployment because I worked for a church that didn't pay into the system. Do I blame you for this? No it isn't your fault. I can't find a job but again, had you not done anything, a lot more of my "neighbors" wouldn't have jobs either. I went back to college with student loans and VA education benefits because I am married to a disabled veteran. When I finish, I want to continue to help veterans and make better videos than I do now so that they understand what PTSD is along with helping their families help them heal. Mr. President, there are many times I see you on TV and how much this is wearing on you but for all you've done, do not allow them to get the best of you while you are trying to give your best to us. Be not ashamed of how much you have done already and do not let them beat you down. You decided to fight for us when you became a Senator. Hang onto your passion and what you know is the right thing to do and stop letting them even suggest they know better than you do. They are the ones who sent us into the abyss in the first place. The sin and shame of what they did to good, honest and hard working people, along with those who serve the rest of us, belongs to them. God will judge them as they have treated us and as we hoped for mercy from them, they will not receive any from God. 8 The one who sows to please his sinful nature, from that nature will reap destruction; the one who sows to please the Spirit, from the Spirit will reap eternal life. You have fought for us, the people in need and forgotten about for far too long. They shall reap what they sow by fighting for greedy people against the needy. KABUL, Afghanistan — A NATO helicopter crashed Tuesday in southern Afghanistan, killing nine international troops in a region where forces are ramping up pressure on Taliban insurgents. It was the deadliest chopper crash for the coalition in four years. A “large number” of Americans were among those who died, according to a senior military official in Washington, who spoke on condition of anonymity because not all relatives had been notified. He said it remained unclear whether troops of other nationalities were among the fatalities. It happened in Zabul province — rugged terrain where helicopters are heavily used to transport military troops spread over mountainous areas with few roads. At Ft. Sam Houston Monday, leaders took time out from a busy schedule to talk about the problem and share information about the wide variety of resources to help. Police officers often face stresses similar to soldiers. “Both our military personnel and our police officer see unspeakable acts of violence and uses of deadly force,” commented S.A.P.D. chief William McManus. SAN ANTONIO -- The U.S. military is fighting against a killer: suicide. The suicide rate in all four branches is now higher than the national average. The problem of soldiers killing themselves is on the rise. Now military leaders in San Antonio and across the country are working aggressively to reverse this disturbing trend. With war fronts in both Iraq and Afghanistan, it’s an extremely stressful time to be in the service. Even those soldiers here at home who haven’t been deployed are busy with military expectations and personal relationships fraught with the pressure of home, family and finances. All of that has led to a growing problem. Since 2006, the number of Army suicides is up by 37%. Already in 2010, 196 soldiers have killed themselves. An Air Force staff sergeant fatally shot in front of his California City home Saturday was killed by another Iraq War veteran, police said. Police believe the two had never met before the deadly shooting. "And why he made that choice to kill him we don't know," California City Police Chief Steve Colerick said. Brian Carragher, 29, was shot to death in front of his home Saturday evening. Police arrested Timothy Atkins, 26, on murder charges. Atkins is also a military man, who police said recently returned home to California City to live with his parents. "Former Army. I believe did a couple of tours in Iraq," Colerick said. The airman resiliency program was unveiled earlier this year as the Air Force, like the other services, looks for ways to combat rising suicide numbers. As of Sept. 10, 37 active-duty airmen had committed suicide in 2010, showing little improvement from last year’s 41 suicides, which was the highest annual total in three years. RAMSTEIN AIR BASE, Germany — The Air Force has opened a $5 million Deployment Transition Center at Ramstein as part of a new “airman resiliency” program launched by the service to stem rising suicide and post-traumatic stress disorder numbers. Since it opened this summer, more than 450 airmen from across the Air Force have passed through the center on their way back from Iraq or Afghanistan. The Air Force believes the airmen who spend time “outside the wire” in a combat zone need time to decompress before returning to their assigned units and families. Mandatory for security forces, explosive ordnance disposal and convoy operations, the program gives airmen who have deployed together one last time to talk about their shared combat experiences and the challenges they may face as they transition back to Air Force life. ARLINGTON, Va. — John Daniel owes his life to Chief Master Sgt. Richard L. Etchberger, who will be posthumously awarded the Medal of Honor on Tuesday, more than 42 years after he saved Daniel and two other airmen during an attack on their base in Laos. Etchberger and Daniel were part of a secret mission in Laos to call in airstrikes on the Ho Chi Minh Trail. On March 11, 1968, the enemy overran their mountaintop base. He and Etchberger were with three other airmen perched on the ledge of a cliff that dropped off about 3,000 feet. The enemy was firing and dropping grenades on them from above. As the shooting progressed, Daniel was hit twice in the legs and two airmen were killed. Another was hit and presumed dead but was just unconscious. At one point, Daniel used the body of one his fallen comrades to absorb the blast from a grenade. Lately I have lead to understand why so many Americans would rather watch reality TV instead of news. While most do tune into local news at least once a day, they avoid the cable news shows like FOX, CNN and MSNBC. With FOX you get Republican talking points. With MSNBC you get Democratic talking points that miss most of what we really need to know and letting the other side lead the discussion. With CNN it all depends on the day which way they will go. I spend most of my days reading news reports from around the country, none of them are deemed important enough to replace the political discussions on any of these stations. Reality we live with everyday is not considered a hot topic. Right now what's hot is the Tea Party, a group so small that Wiki's response when I Googled how many members in the Tea Party, is a band out of Canada and not the political storm that the media makes them out to be. Over 80,000 showed up for Glenn Beck's rally in Washington but we cannot assume they were all members of the Tea Party since Beck draws from all Republican audiences. What they got was a lesson on what Beck thinks makes a Christian. To this day I am wondering what is in the Mormon Bible that causes him to think that Christ was for the rich, against taking care of the sick and "rendering unto Caesar that which is Caesar's" along with everything else Christ preached about. Beck had told his audience on his radio show that if they heard a preacher say that they should do anything along the lines of what is in the Bible the rest of us read, they should walk out the door. Yet Beck never mentions the fact that what the Tea Party wants is the destruction of everything else this country needs to function. He avoids talking about the fact that while the GOP borrowed money to supply rich people with tax cuts at the same time they said they would end up creating jobs, we lost jobs and drove up the debt while they did manage to create jobs in other countries. He avoids talking about the Tea Party agenda being adopted by the GOP is to eliminate Social Security, Medicare, the VA, the Department of Education along with ignoring the problems with our roads and bridges, de-funding the National Parks department while allowing our national treasures like the memorials in Washington to fall apart. He avoids telling his audience anything that does not fit in with the message he wants to deliver. All of this is ok since he does not claim to be a news reporter but the problem is when the people who do in fact claim to be reporters end up repeating what he says. They just follow the flow. The national media ends up turning us into a bunch of idiots and all three are guilty. All of them focus more on politics than anything else so that stories about what is really happening across the country are not even considered worthy of their attention. When we started to lose jobs, they were silent. When wars were not paid for or even made part of the budget they were silent. Imagine that! War in Afghanistan and Iraq were not considered important enough to pay for or even include in the budget during the Bush administration. The tax cuts for the wealthy (making over $250k) were not funded, yet none of the people in the Tea Party seemed to have noticed any of this when it was happening taking us down the road to damnation. Now, well, all that changed because there is a Democrat in the White House named Obama. If the media has their way, succeeds in making stars out of rocks we lose. On their agenda we lose the following. Veterans lose healthcare because they want to privatize the VA and have publicly said that they want to balance the budget by cutting VA funding. Troops lose because they have been against the GI Bill, pay increases and most denied the reality of PTSD along with TBI, so that most of the advances we've seen in addressing these two "signature wounds" of Iraq and Afghanistan will end up suffering. Teachers will suffer because they want to de-fund the Department of Education. Police, firefighters and emergency responders will end up being cut in a time when we need more of them on the job. The FDA will go away and our food supply will end up giving us more contaminated food products along with dangerous drugs. Health insurance will win but the rest of us will not be able to get it if we cannot afford to pay for huge premiums. What part of everyone should be able to see a doctor no matter what income bracket they live in do they not understand? Banks and credit card companies will win and the rest of us will end up in bankruptcy because no one will keep them under control and limit what they can do to us. I have been listening to the commercials down here in Florida with politicians slamming politicians without ever facing the fact they became a politician as soon as they decided to run. This practice has been carried over onto the national news shows and no reporter wants to confront then on this point. They are just too busy making stars to draw ratings but what they end up doing is making thinking people change the channel to Pawn Stars and Swamp People instead. They live the rest of their lives never knowing that our veterans are suffering around the country right now and the people trying to replace Democrats in office are the biggest part of the problem determined to make it worse. We lost 18 veterans to suicide alone yesterday, just as we did the day before and will lose today. Think about that. 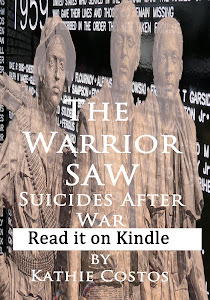 In 18 homes this very day, a family member will discover the body of someone they love, dead by suicide after serving this country and managing to survive the war we sent them to fight. 18 families and friends are hearing word of funeral plans from the ones who died yesterday. In tiny towns and huge cities, this is repeated every single day but do you hear about them being interviewed on CNN? MSNBC? FOX? Do any of them talk about something like this? There are veterans' courts all over the country because the problem is so bad for our veterans that the local law enforcement departments had to do something to treat them fairly instead of locking them up when most of what they are doing can be tied back to combat. 13 veterans in one day in a courtroom in Spokane? That was not a huge story on the national news? Excuse me but these men and yes, women, served this nation and were not sent into combat to defend Spokane alone! 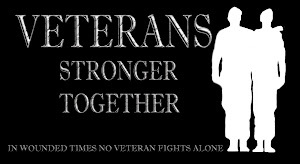 Veterans are a national issue and there are more and more of them added to their numbers everyday growing a lot faster than population of the Tea Party folks determined to take away what they need to recover from combat. When the GOP was in charge veterans were last on their list of things to take care of. Right at the top was tax cuts for the rich. Then came defense contractors. Ever watch CSPAN when they cover the debates from the floor? They said they couldn't increase funding for the VA because they had two wars to pay for but this was right after they were screaming about giving Bush all he asked for to pay to keep the troops in Iraq and Afghanistan along with equal numbers of contractors. Now there are some in congress who want to cut funding of the VA so they can reduce the deficit they created in the first place. Does CNN tell veterans about this? Does MSNBC tell them? Does FOX tell them? John McCain managed to pull off being a friend to veterans for years simply because the media allowed him to. They never once challenged him as a Vietnam Vet/POW on what he actually voted against and the rest of the country was left in the dark about what he was doing when the camera was on someone else. His voting record on veterans is terrible. He fought against the GI Bill because he said it was too generous and would end up getting more troops to leave the military. Did the media report on this? FOX does a great job saying they support the troops with a lot of their stars taking off to go to Iraq for a show but then when they got back home what the troops were suffering from including having to dig through trash from metal to take care of their Humvees, FOX ignored it. When the reports came out on the deplorable treatment at Walter Reed, FOX stars attacked the reporters. O'Reilly denied there were homeless veterans. I mean the list just goes on and on but it isn't just FOX. It's all of the national news shows. They used to keep us informed but over the last ten years or so, they have been following the ratings instead of the news and have left this nation filled with idiots. To this day, no matter where I go or who I talk to people are still unaware of what PTSD is. How is this possible? None of them know what else is going on and they look at me stunned because they didn't hear it on CNN, MSNBC or FOX. If it isn't there then they think there is no need to care. It must be a tiny story or the news they trust would cover it. That's how bad things are in this country. Now we face yet another election. It seems as if the national news shows just finished covering the Presidential election. Still they are not really informing voters what is going on, what the candidates really want to do or how they really think. They expect the viewers to actually spend time looking up facts online? Isn't it their job to let us all know what the facts are and confront these people when they lie? They vilify the Dems for what? Thinking people show be able to go to a doctor when they are sick without having to declare bankruptcy to do it? That is what health insurance reform was all about. So if people were against it then they were actually fighting for the insurance companies and not humans. They wanted to protect consumers from banks and credit card companies from ripping us off. How is that a bad thing? They fought to give the troops pay raises. Is that a wrong thing to do considering how many times they've been sent into combat in Iraq and Afghanistan? They wanted to take care of the wounded neglected over the last 10 years. Is that an expense the GOP does not want to pay? Then they shouldn't have sent any of them into combat in the first place. There is so much we're missing when we trust national news shows. We may take a couple of minutes out of our busy day and our own problems to see what's going on in the nation but end up with a bunch of people talking about what the news station determines we should know. The next time you turn on CNN, FOX or MSNBC, ask yourself why they are telling you what they are telling you then ask yourself why they are focused on it. The chances are, they have an agenda all their own and informing you has nothing to do with any of it. They want to manipulate how you think with what they tell you is important and we are all guided to be idiots in the process. I was one of you but hardly ever tune into these shows now. I'd rather read news from across the country and at night, when I want to relax, I put on Pawn Stars to know that the economy is so bad that people have to sell things that have been important to them and Swamp People so that I know how other people live ready to risk their lives to catch gators. At least when it comes to real events, these shows come closer than the news. Here's a few links to let you know that not only do they plan on cutting the VA they are proud of it. The VA has the best care for our veterans but they want to turn it over to companies that want to make money instead of fixing the VA problems? They don't think there is anything wrong with this at all. Then again, they may even believe that turning the DOD over to contractors is a good thing too. After all their attitude was paying the contractors was a good thing but taking care of the troops just cost too much. Taking care of veterans, well, that's something they say but never seem to get around to it.